Welcome to The Hire Challenge™ Blog | To educate job seeking professionals on how to succeed in today's job market. 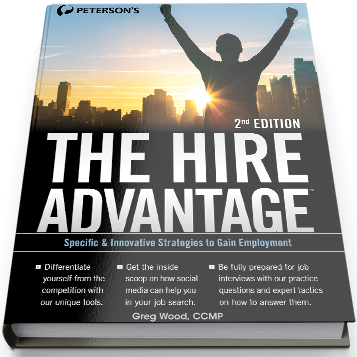 The Hire Challenge™ series introduces you to the tools you need to position and brand yourself as the preferred solution to your potential employer's needs. Learn the strategies and tactics you need to separate yourself from the competition. Welcome to The Hire Target™. We're dedicated to helping you succeed in your job search mission. We not only provide you with a proven methodology and tools to help shorten your time in transition, we can also provide career transition services to your spouse and family members who are seeking employment. The Hire Road™ is an innovative career transition support tutorial that takes you step-by-step through the entire process to help shorten your time in transition. This essential guide is designed to help you quickly succeed in your search for employment in today's economy. Things have changed, times have changed, and times are tough. The old worn out methods that typically rely on resumes and cover letters no longer work. New strategies and tools are needed for job-hunting success, and you will find them here. Today’s job market is incredibly competitive and, as more and more of you are finding out, the traditional system of finding employment which relies on “powerful” resumes and cover letters no longer works. Despite being reminded of this fact every day, your mindset still dictates that all you need to get noticed and get in the door is a great resume. However, you need to realize that resumes are a necessary evil and don’t help you meet your biggest challenge in the job market which is differentiation; in other words how do you separate yourself from your competition and get noticed? Target companies, not jobs. Build a professional network by targeting hiring managers in companies of interest. Don’t send your resume which will be routed automatically to HR and summarily rejected. Instead, use your Biography as an initial tool to introduce yourself to the hiring manager, conveying the value you bring to the table and how you can help. This way you’ll learn about jobs before they’re posted and you’ll be on the short list of candidates facing little competition. Don’t just sit there trembling and clutching your sweat soaked resume, Don’t talk about what great things you accomplished for others in the past. Ask questions that focus on the issues and problems the hiring manager is facing now, and how you can help increase profitability by helping to solve them. That’s why you’re there! Stand out from your competition by using your Management Endorsements to answer the question: “I’ve interviewed several candidates with similar skills, experience, and expertise. Tell me, why should we hire YOU?” This unique tool will help reinforce why you are the best candidate to fill the position. yourself by sending your Post-Interview Packet directly to the hiring manager, providing a compilation of everything he or she needs to know to make the decision to hire YOU. By all means send a personalized thank-you card to all others you interacted with during the interview process. This strategy will clearly set you apart from your competition and greatly enhance your chances of winning the job offer. While our economy continues to slowly improve the competition for good-paying jobs is still fierce. Your success will depend on how well you separate yourself from all others. It’s Time to Change Your Mindset! You need to conduct a strategic vs. traditional job search that focuses on broadcasting your VALUE to the business community, not your resume. Your biggest challenge in job search is differentiation. Right now, how do YOU stand out from the millions in a highly competitive job market? Think your resume makes you stand out from the crowd? Think again. You’ve probably tweaked your resume to death since you began your job search, and now you think you resume is one in a million. Well guess what….it is. It’s one of millions! Regardless of how much you paid someone to prepare your resume, no matter how professional your resume may look, how stunning your experience and accomplishments may be, or how impressive your education is, at the end of the day a resume is a resume is a resume. Therefore you look like everyone else. Get the picture? Like everyone else’s, your resume will inevitably end up in HR – sitting in a stack a foot high. And there sits some overworked personnel jockey who, if you’ve been lucky enough to get past the screening software, will glance over your “powerful resume” for no more than 15 to 30 seconds. Do you really want that personnel jockey deciding if you’re valuable enough to put in front of the hiring manager for an interview, or do you want the hiring manager making that decision? Don’t misunderstand me; you need to have a professional resume. It’s what I call a “necessary evil.” Your resume is a critical component of your job search. But use it as backup, as reinforcement, and provide it only when specifically requested by a hiring manager. If you must submit your resume when responding to a posted position, understand that whoever you send it to your resume will end up in Human Resources. HR is what I call “Hiring Resistance” because the whole process starts with rejection. How good are you at handling rejection over and over and over again? Remember Einstein’s definition of insanity: doing the same thing over and over again and expecting different results. Things have changed, times have changed, and times are tough. Stop wallowing in the C*R*A*P. Job search in today’s new economy calls for a nontraditional, strategic approach to shorten your time in transition. Change your mindset and target companies, not jobs. Educate the business community about who you are by broadcasting your value directly to hiring managers. Once in the door you’ll need to continue to separate yourself from the competition by conducting a strategic interview that will greatly enhance your chances of getting the offer. Visit www.thehirechallenge.com to get your free copy of “How to Avoid the C*R*A*P in Your Search for Employment” and learn how a strategic approach to job search can help shorten your time in transition. And yet the phone doesn’t ring. Regardless of your efforts, your resume ended up in the black hole of Human Resources where it was perhaps scanned by a software program and then dumped into a massive database with hundreds, if not thousands, of other resumes. With the sheer volume of resumes that companies receive on a daily basis, the odds that your resume was viewed by any human in Human Resources (let alone the hiring manager), are slim to none. That’s why I refer to HR as “Hiring Resistance” because the whole process starts with rejection. If you’re lucky enough to get past the screening software, your resume provides HR personnel with numerous reasons to screen you OUT, not in. These could include the ethnicity of your name, where you live, your industry, your title, your present or former employers, gaps in employment, lack of the right keywords and phrases, your education (or lack of education), your affiliations, etc., etc. Keep in mind that HR personnel, for the most part, don’t have a clue about the true nature of the work to be done. They’re concentrating on the perfect match between keywords in the job description and those found on someone’s resume. The hiring manager is the one person in the organization that has a true understanding of the job to be done and the right candidate to do the job. Remember, while it is a critical component of your job search toolbox, your professional resume is nothing more than a track record of employment. Your resume is full of old news, stuff you’ve done for other employers in the past. Maybe great stuff, but remember: companies don’t hire you for your past, they hire you for their future. Break away from the traditional approach to job search which is broken and ineffective. Spend perhaps 20% or so of your time chasing posted jobs on the Internet if you must, but recognize that HR is your biggest obstacle to finding your next job. Spend the remaining 80% or so of your time educating the business community by targeting hiring managers in companies of interest. Instead of sending your resume to these hiring managers, differentiate yourself by using your biography to educate them about who you are, the value you bring to the table, and how you can help their profitability moving forward. Stop Playing the Internet Lottery! Still chasing posted jobs on numerous job boards and company websites? Still following the C*R*A*P approach to job search (Clicking, Reviewing, Applying, and Praying)? Still discouraged because nothing is happening? Think of today’s job market as an iceberg. Posted jobs appear on the tip of the iceberg. Those are the jobs that are advertised for the world to see. While there are thousands and thousands of advertised jobs, they only represent about a quarter of all the total jobs available! The other three-quarters are below the surface. This is what’s referred to as the “hidden job market.” We don’t know about these jobs because they’re not advertised. If you insist on chasing jobs on the tip of the iceberg, you must understand that the competition for each and every one of those jobs is absolutely fierce. You’re playing what I call the Internet Lottery. Over the course of several weeks or months, you’ve probably kept yourself very busy by sending out hundreds of resumes. You’re relying on the myth that if you throw enough against the wall, something’s got to stick, right? What you don’t realize, however, is that there aren’t hundreds of jobs out there for you, only a select few. While you may be working harder, you’re not working smarter. You sit by the phone, wonder why it never rings, and become increasingly frustrated. Your entire approach is traditional. It’s reactive and, for the most part, ineffective. In order to be successful and shorten your time in transition, you need to conduct a strategic job search. That begins by defining your value to the business community. What do you bring to the table? Why would anyone be interested in hiring you? Remember, your resume is a reflection of the past and it does a lousy job of conveying the true value you offer a company moving forward. When you’re playing the Internet Lottery and submitting your resume to an employer, you’re typically relying on someone in Human Resources to determine your value to the organization. You’re basically saying: “Here’s my work experience, my accomplishments, my credentials and my education. Now it’s up to you to determine where I fit within your organization.” You don’t want some personnel assistant deciding if you’re valuable enough to put in front of the hiring manager for an interview; you want the hiring manager making that decision. Some job seekers do find jobs above the surface on the tip of the iceberg. They send in their resume, get a call to come in and interview and they get the job. However, 99% don’t! Some people go to the casino, drop three coins in the slot machine, get “7-7-7” and hit the jackpot. However, 99% don’t! They just don’t understand the odds against them. You need to understand the odds against you if you insist on playing the Internet Lottery. Don’t misunderstand! I’m not suggesting that you ignore the tip of the iceberg and any posted job that may be of interest to you. If you find one that you want to pursue, by all means go for it. Drop three coins in and pull the handle. You may be one of the lucky ones. If you must, spend perhaps 20% of your time playing the Internet Lottery. Spend the rest of your time building a professional network by conveying your value (through your one-page biography, not your resume) to hiring managers in companies of interest where you know your skills, experience and expertise would be of value.